The Faculty of Teachers' Professional Development was established at Ulyanovsk State University (USU) in 2003 by the Order of the Russian Ministry of Education and Science № 1773 of April 23, 2003. The work on its opening started in the university in 1999 and in 2001 the Ulyanovsk region government recommended the Academic Council of the University to open the faculty of Teachers' Professional Development at USU. The faculty started to function on the 1st of January 2003. 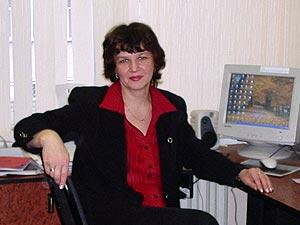 The dean of the Faculty is Margarita A. Kovardakova, PhD in Pedagogical Sciences, associate professor. During the faculty existence there have been about three thousand lecturers of higher and secondary vocational schools, college, high and secondary school teachers, children's art school teachers who have raised the levels of their proficiency at the faculty. The faculty is also popular in other regions of Russia. Lecturers from universities of Moscow, Kazan, Samara, Togliatti, Penza, Orenburg, Yaroslavl, Gorno-Altai, Ufa, Cheboksary, Rybinsk and other cities have trained on the basis of the faculty. Studies are held in lecture halls and modern computer classrooms of UlSU. Moreover, field courses are sometimes organized. After completing the studies at the faculty one receives an advanced training document in the established standard form. Experienced lecturers, professors, PhDs, teachers of Ulyanovsk State University as well as leading experts from other Russian universities are involved in the educational process of the faculty. Course participants praise the faculty work and note a good organization of the teaching process, friendly and caring attitude of the university administration, lecturers and dean's office staff. Major faculty development prospects are connected with further high school lecturers' professional development, expansion of training programs for teachers in colleges, high schools, gymnasiums and Further Vocational Education (FVE) institutions. They are also connected with the development of the faculty resource base, introduction of new information technologies into the educational process, search for effective dialogue forms and methods of teaching.